AMMONNEWS - Minister of State for Media Affairs and Official Government Spokesperson, Jumana Ghuneimat, said Saturday that community media is key to empower Jordanian women and convey the real concerns of citizens to realize the goal of a professional and objective media. She made the remarks during a ceremony to launch a project in Ma'an to empower women to achieve their rights through community media, which is implemented by a local women's charity with support of Radio Al-Balad and the financing of the Community Media Network within the European Union's "Community Media through the Media" project. 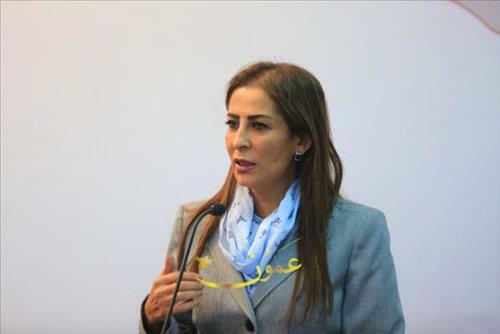 The minister said that Jordanian women across the country, including Ma'an, need more support to highlight their capabilities and achievements through community media initiatives, noting that Jordanian women face "some forms of discrimination, whether intentional or unintentional," which needs to be eliminated to enhance their role in the various sectors. She said that community media is of great importance because it is more involved in local affairs and more attached to the society's concerns, and should be directed to serving development and all social groups, including women.